Frankl Studies: 36 credit hrs. Alternate Program 36 credit hrs. ZZZ. 500. Introduction to C.G. Jung and Analytic Psychology. ZZZ. 520. Martin Heidegger and German Existentialism. ZZZ. 530. G.W.F. Hegel's Aestethics or the Philosophy of Fine Art. ZZZ. 540. Existence and Love: A New Approach in Existential Psychiatry. ZZZ. 550. Viktor E. Frankl, Doctor and the Soul: From Psychotherapy to Logotherapy. ZZZ. 570. 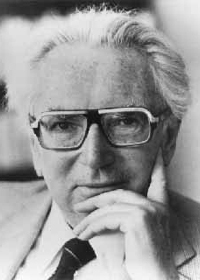 Viktor E. Frankl: Man's Search for Ultimate Meaning. ZZZ. 580. Plato and Freud: Two Theories of Love and Sexuality. ZZZ. 590. Jean-Paul Sartre's Existential Psychoanalysis: A Challenge to Clinical Metatheory. ZZZ. 600. Irvin D. Yalom: Introduction to Existential Psychotherapy.